companies only with converting machines. TrimBox may be installed immediately in a simple design and gradually evolve to more sophisticated situatins in term of automation or detailing of the production processes. In TrimBox the product description has more then 100 information. For the FEFCO The European Federation of Corrugates Board Manufactures, the board dimensions are calculated automaticaly from the internal box measures. You can quote a new product or a produt that has already been produced. For a new product, a pre-data sheet containing the relevant information for the quotatio is created. For products that alread have been produced the manufacture history information is available: setup time, production rates and production losses. It’s possible to simulate profit margin, price by kilo, price by square meter. It’s also possible to simulate different raw material. TrimBox creates the quotation document to be sent to the customers and also document for internal use with the production costs details. 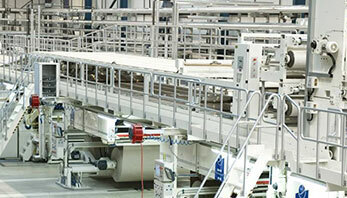 The “Machine Capacity” module allows an evaluation of the production capacity of the corrugators and the converting machines. It also allows to evaluate the balancing of the production between the different types of machine (flexo, die cut) as well as the precise definition of orders due dates. For due dates, TrimBox can calculate the earliest date on which the machines are available considering that the other existing orders have to be programmed without risk of delay. TrimBox individually controls each paper roll: receipt, weight, quality tests, consumption in the corrugator and the return of leftovers from the corrugators to the stock. On receipt, the coil identification label, with bar code, is issued. In addition, TrimBox also predicts paper consumption and compares with existing inventory, aiding in the purchasing process. It’s the heart of TrimBox, that has been continuosly improved during lots os years. O optimizer algorithm internaly creates a system of variables and constraints and sove it is a few seconds. All the possible combinations are avaluated, so the optimal solution is always reached. So, in any case, another software or any experienced production programmer will reach better solutions. The algorithm minimizes deckling trim losses , paper upgrade costs, corrugator costs, evaluates paper availability, the convenience of anticipating optional orders, etc. The paper upgrade cost of an order is compared with the reduction of deckling trim losses. Wider paper rolls are more productive. TrimBox compares the benefit of higher productivity with the decling losses and chose the best solution. The amount of paper available in inventory is also considered. 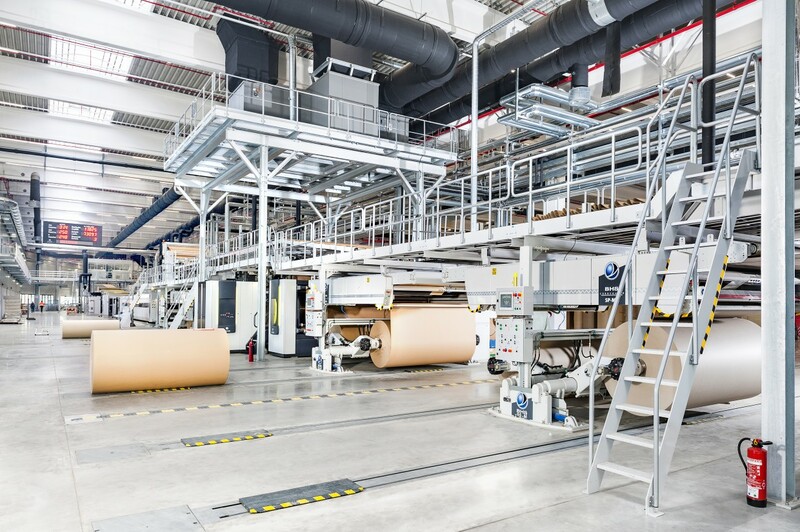 TrimBox optimises simultaneously hundreds of orders, several board grades, several paper width and several corrugators. No TrimBox sequencia-se a produção da onduladeira, juntando combinações de ondas, formatos, composições e minimizando os pedidos em aberto. Para as onduladeiras que permitem interfaces eletrônicas, o TrimBox envia as conjugações evitando que sejam digitadas. Recebe da onduladeira os resultados de produção, as paradas e a situação da onduladeira em tempo real. Estas informações ficam armazenadas e acessíveis a todos os usuários do TrimBox. A programação das máquinas da conversão também é feita no TrimBox. No sequenciamento das impressoras, a cores das tintas são mostradas com clareza para a minimização dos setups. The Automatic Data Collectin for consists of an electronic device with sensors installed in the converting machines. The setup times, the production counting and down times are automatically captured. The Automatic Data Collectin allow operators to devote their full attention to production (not to data collection). Later when the machine is in production, the operators only inform the causes of the down time (the down time instant an it’s duration is captured automatically. The information is accurate and its practical results in productivity increases have surpassed the most optimistic expectations, reaching between 20 and 30%. TrimBox controls each pallet of the finished product in stock. Identifies when there are paired sets, such as covers and accessories, guiding the loading process. Treats Kanban: products held in stock to be for immediately delivered. These products are scheduled automatically when the spare point is reached. In the case of loading leftovers, the TrimBox alerts and guides the production programmer so that, in the next request, the leftover is used. The shipment (bill of ladding) is made by reading the bar code of the pallets, ensuring correctness of the quantities shipped. The inventory finished goods area is divided into “Boxes” where the palets are stored. The forklifts are equiped with data collectors connected by radio frequency. For a pallet just produced, TrimBox suggests a “Box” where to place it. 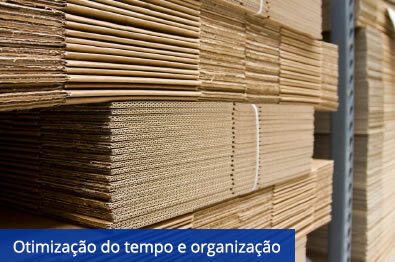 Na coleta do palete recém-produzidos, o módulo de WMS do TrimBox sugere em que “Box” o palete deve ser armazenado. The goods shipments (bill of ladding) are planned, considering the already done pallets and also the programmed pallets (not available yet). For truck loadding, TrimBox shows a list of pallets and their location, guiding and validating their collect. The TrimBox stores all quantitative and visual tests of the paper rolls, the paper boards, the boxes and issues the technical reports. In the TrimBox you can consult the history of tests, classifying them by machine, composition, date of collection or by Procuction Order. The tests are shown graphically: Gaussian curve, mean, standard deviation and confidence interval. 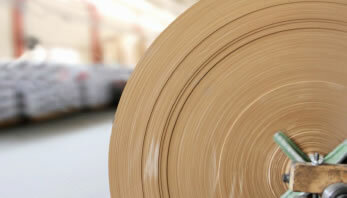 The quality control of the paper reels allows to compare the tests of the supplier with those carried out internally. The tests can be exported to Excel spreadsheets or a statistical software. TrimBox has a detailed control of the cliches and “knives”. It has the history of the tools: all purchases, all reforms and all productions. The tool productions are obtained automatically from the production orders.